Makers of Bangistan are keen on screening the film in Pakistan. Bajrangi Bhaijaan, may have set the cash counters ringing across the border, but the Riteish Deshmukh-Pulkit Samrat satire, Bangistan, has been banned in Pakistan. This decision comes as a surprise to them, the film’s co-producer, Ritesh Sidhwani, will fight it out. “Basing their judgement on the trailer alone, they have decided that the film is anti-Pakistan and anti-Muslim. If anything, it’s anti-terrorism and since Pakistan is as much a victim of this global menace as any other country, it is in their interest to screen the film. It’s message is that it’s foolish to give up your life for a cause you’ll not live to fight for,” says Sidhwani. Ritesh has written to the ministry asking for a review of the decision. He has applied for visas, for himself, director Karan Anshuman and his actors, Riteish and Pulkit, to visit the country, if only for a day. “I’d like to show the film to the ministry and the censor boards to prove that our intentions are fair,” he says. 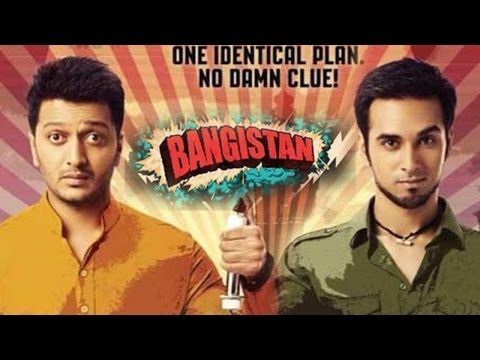 Bangistan is about two suicide bombers, Hafeez Bin Ali/ Ishwarchand Sharma (Riteish) and Allah Rakha Khan/ Praveen Chaturvedi (Pulkit), who’ve been brainwashed into an explosive mission but eventually realise the death wish is futile exercise. Ritesh argues that such suicide pacts are common to both countries and the need of the hour is to show brainwashed youngsters that it’s a path to nowhere. IS THIS KATIE HOLMES LOOKALIKE TOM CRUISE’S NEXT WIFE? Don’t Mess With Janeane Garofalo!